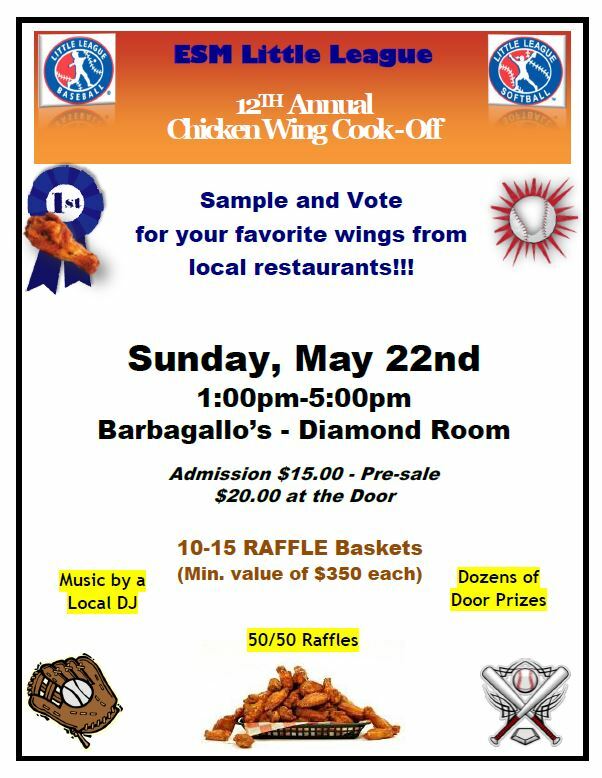 East Syracuse Minoa Little League is pleased to announce the 11 participating Restaurants for the 2016 Chicken Wing Cook-Off at Barbagallos Restaurant, Sunday, May 22nd at 1:00PM. Tickets are $15 advance sale and $20 at the door, the day of event. At the event we will be selling $1 raffle tickets for your chance to win one of over a dozen baskets.